Combine two quintessential Alaskan experiences — a floatplane ride and a Dungeness crab feast — on this memorable tour from Ketchikan. 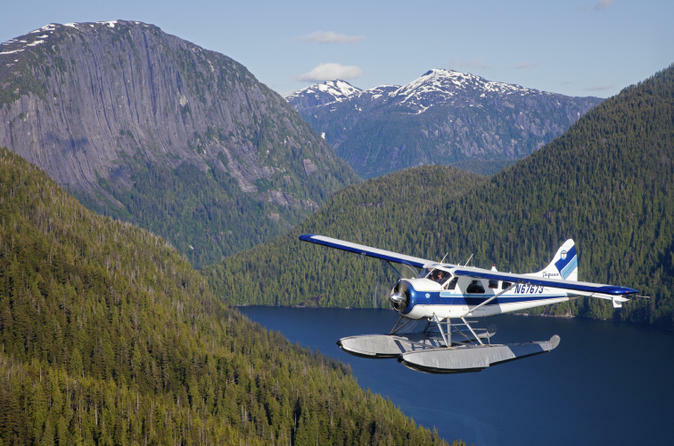 Start with a flightseeing tour flying high above the beautiful alpine landscape of Tongass National Forest. Then land at the remote George Inlet Lodge to indulge in a meal of crab with melted butter, salad, potatoes and cheesecake. You’ll end your experience with a scenic drive back to Ketchikan along the coast of Revillagigedo Island. This tour is limited to 12 people, ensuring you enjoy a small-group experience. Departure times vary by day and availability. Please contact the local supplier after you've made your booking.